Seven Pakistani soldiers were killed Sunday night during cross-border firing across the Line of Control, the Inter-Services Public Relations (ISPR) said. Pakistani troops responded to ‘unprovoked’ Indian firing, and targeted Indian posts effectively, ISPR said. Later on Monday, Army Chief General Raheel Sharif attended funeral prayers of the deceased soldiers at Jehlum who had died following unprovoked firing by the Indian troops along the LoC. The military chief was later briefed on the situation at LoC. He reiterated the determination by saying “we will continue to respond effectively and leave no stone unturned to defend the motherland”. The Foreign Office (FO) summoned Indian High Commissioner Gautam Bambawale on Monday to lodge a protest against the killing of soldiers across the LoC. The FO Spokesperson Nafees Zakaria said India must stop all ceasefire violations and avoid targeting residents along the LoC. “We reserve the right to respond befittingly respond to Indian aggression,” he said. The FO also delivered a letter of protest to India. There was no immediate response to the allegations from Indian officials. Pakistani authorities last week lodged protests with India as well as with the UN military observers over targeting of civilian populations as the civilian death toll from Indian shelling has risen to at least 26 in the past few weeks. Another 107 have been injured. The Pakistani FO protested at least five times during the past five weeks over targeting of civilian populations. Prime Minister Nawaz Sharif expressed his profound grief and sorrow over the loss of precious human lives in the latest incident of cross-border firing. 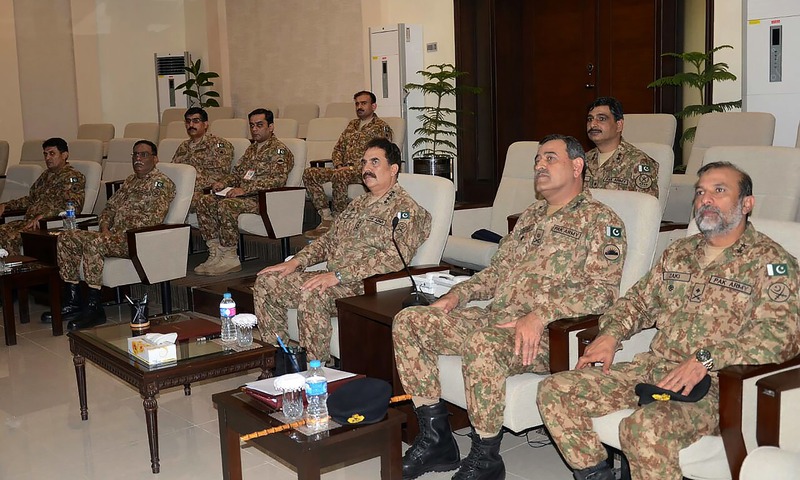 He paid tribute to the slain soldiers and reiterated Pakistan’s ability to defend itself against any aggression. “We are fully capable of defending our soil against any aggression. The Indian forces have resorted to escalating tension on LoC only to detract the world’s attention from the grave human rights situation in the Indian-held Kashmir,” he claimed. The premier said that Indian forces have inflicted ‘unspeakable atrocities’ against the unarmed and innocent people of held Kashmir. “By creating tension at LoC, the Indian forces are uselessly trying to divert the attention from the Kashmir issue,” he added. Defence Minister Khawaja Asif, responding to the latest development along the shared Pak-India border, claimed that India was heating the situation up along the LoC and Working Boundary due to internal compulsions, Radio Pakistan reported. The defence minister said it was regrettable that certain extremist elements which had come into power in India could become a source of destruction not only for their own country but the whole region. Asif urged the global community to take notice of “Indian provocations against Pakistan” as any escalation of tension between the two nuclear armed neighbours could prove catastrophic for the whole region. He added that Pakistan is using diplomatic and international forums to highlight Indian ‘belligerence’. Cross-border firing appears to have become a routine as tensions simmer between Pakistan and India following an alleged ‘surgical strike’, unrest in Kashmir and the Uri army base attack. The Indian deputy high commissioner has been summoned to the Foreign Office several times in protest against ‘unprovoked’ Indian fire and loss of lives due to incidents of cross-border firing. Indian Prime Minister Narendra Modi stepped up a drive to isolate Pakistan diplomatically after the Uri army base attack last month. Hours after the attack occurred, Indian Home Minister Rajnath Singh termed Pakistan a ‘terrorist state’ and accused Pakistan of involvement.